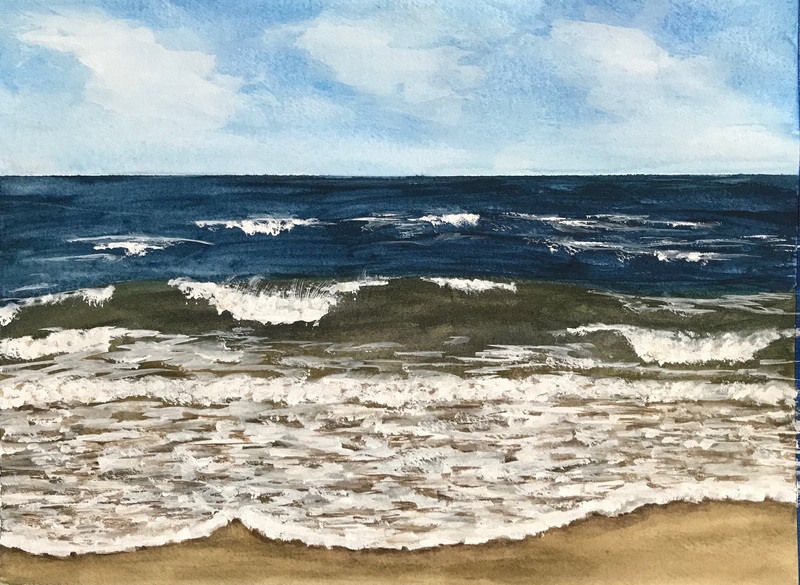 In May I switched from painting in watercolor to painting acrylic seascapes. 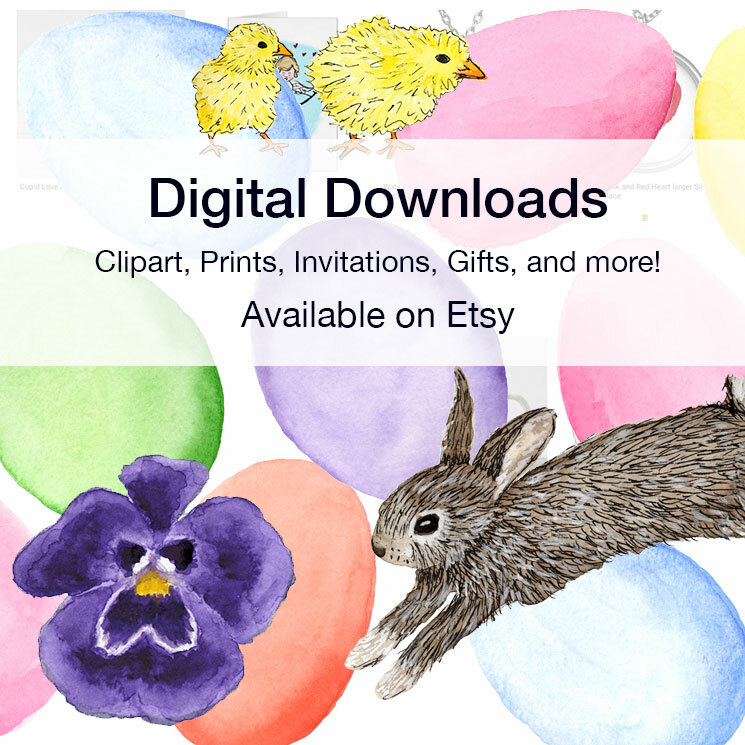 I painted ten 12” x 12” canvases – intent on getting comfortable with the different medium. It was so frustrating in the beginning, but with each painting I learned something. I’ve pulled out the acrylics again – this time with bigger canvases, and I’m reminded of what I learned so far. 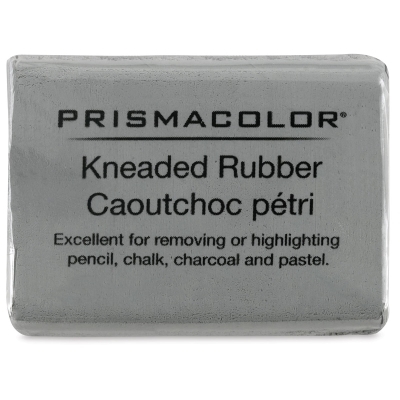 To thin the paint and overlay colors use acrylic gel medium. Painting in acrylic involves more set up and prep than watercolor. And more clean up. 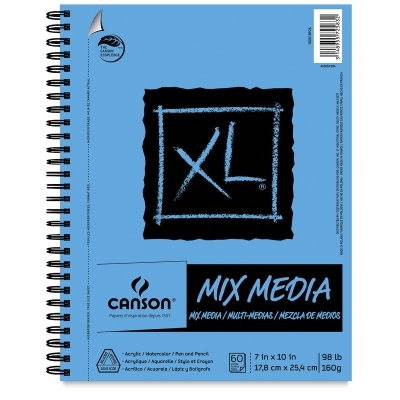 Using a sheet from a palette pad – taped to your palette – makes clean up easier! 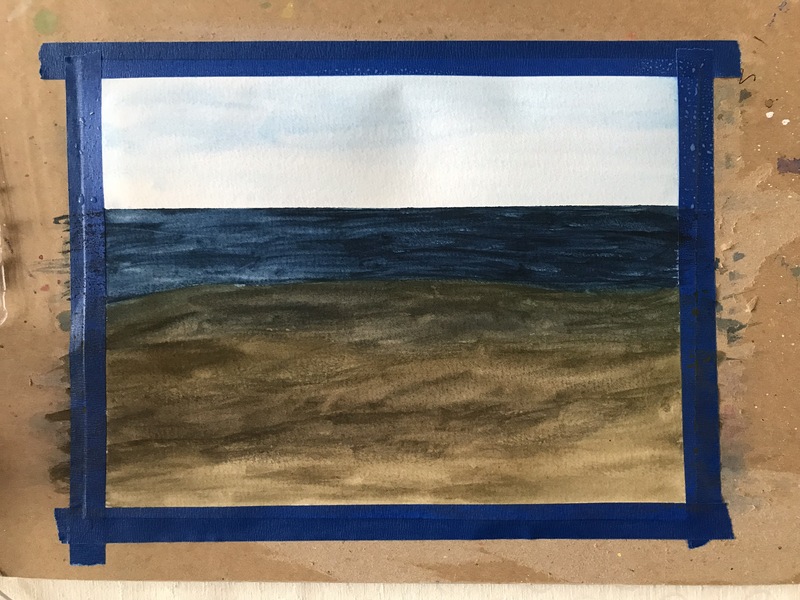 Using painter’s tape for a straight horizon line presents some challenges. The paint can accumulate at the tape creating an edge. Categories: Acrylic, Acrylic seascapes | Tags: acrylic, Acrylic seascapes, acrylic tips, ocean, painting | Permalink. I always have a few paintings in progress at once. With watercolor it’s about having to wait for the layers to dry. With acrylics it’s convenient to have a few going on, when you have the paint mixed up and ready. Having more than one, takes the pressure off one particular painting. During my drawing class days, I became so stressed about a drawing I was working on. I was afraid to add a single mark and ruin it. Thankfully I realized the unnecessary pressure I put on myself to make every drawing frame-able, and I relaxed way back! Categories: Uncategorized | Tags: painting, Pressure, Relax | Permalink. The other morning I sat down to paint in an effort to turn my bad mood around. As I was painting, and not feeling great about myself, I was thinking how much confidence plays a part in painting. When you are feeling good, you are hopeful about the outcome of a painting as you work. But when you are feeling low, it’s easy for negative thoughts to sabotage your work. At these times it’s even hard to motivate to sit down and paint in the first place. Thankfully, painting did help turn my mindset around and most of the things bothering me either worked themselves out, or proved to not be as bad as I let them seem. I’m glad that I sat down the other morning to paint despite my mood. I know that if you really want something, you have to work at it no matter what, and I’m trying to put that into practice. Check out Chip’s book here. Categories: Acrylic, Acrylic seascapes | Tags: artist, Confidence, painting | Permalink. I often think about an online class I took by Val Webb called “Drawing Children.” At the time, I was amazed at how well Val knows the nuances of the faces and figures of children. 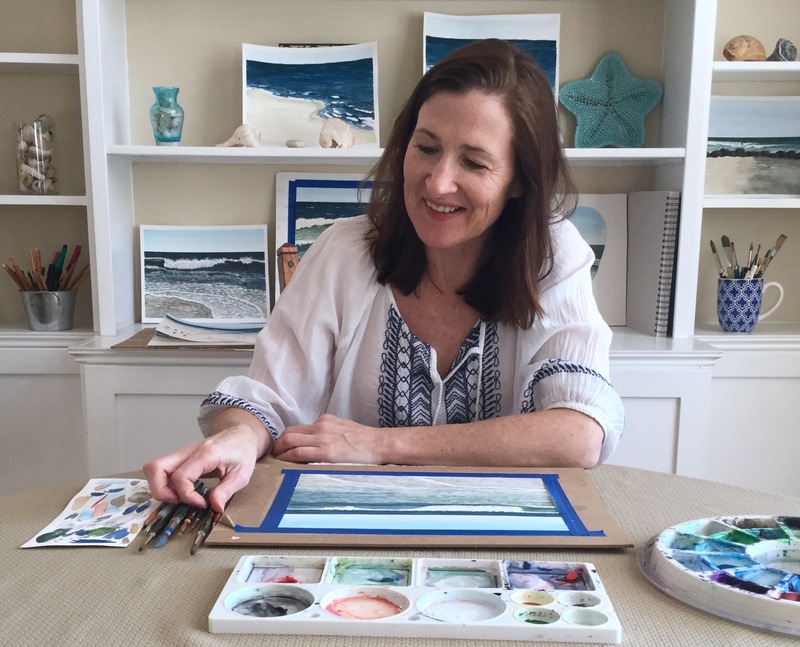 Now as I paint the ocean – almost exclusively, mostly in watercolor, but recently in acrylics – I think about not just the techniques to make the painting look realistic, but the characteristics of the ocean. 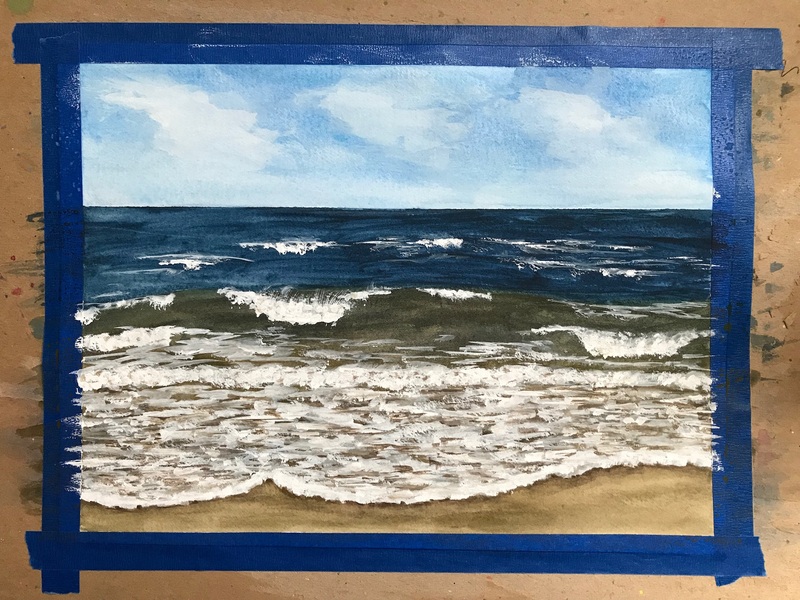 As I was painting the water, specifically the foam at high tide, I was painting and pulling back the strokes, because I was thinking about how the water is being pulled back by the tide. This is something you wouldn’t know just by looking at a photo. All the time I’ve spent at the beach might be making a difference in my painting. 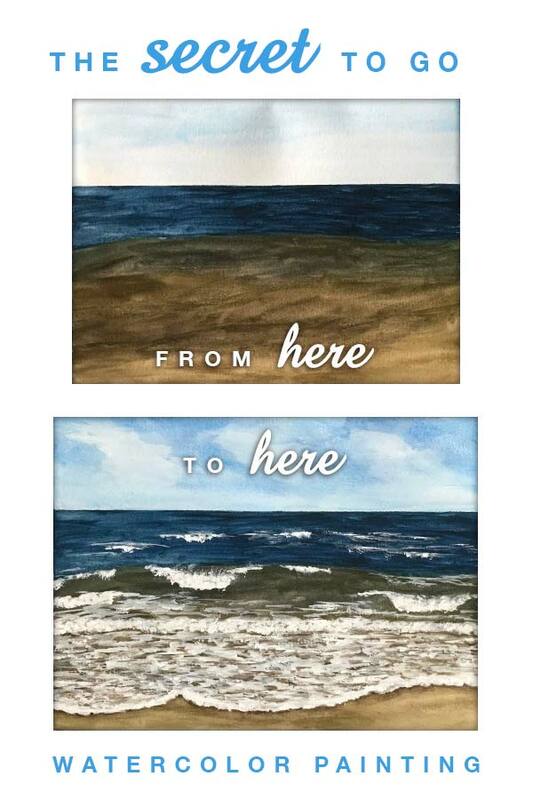 Last summer, after painting the ocean all winter, I looked and observed the water differently than before. My son recently asked if I was going to paint anything else. I guess to him, every painting is similar. To me I’m learning with each painting. The ocean looks so different at different times and different angles. I’m sticking with the ocean, and I’m currently challenging myself by working to capture this amazing subject in acrylics. Categories: Acrylic, Acrylic seascapes, Inspiration, painting the beach | Tags: acrylic, ocean, painting, Subject, Wtaercolor | Permalink. I find it useful to have a small notebook opened next to my palette. This way if I have a thought for a blog post, want to remember which blue I’m using, or whatever, I can just scribble a note to myself. I also write down the date and time of the photo I’m painting from. This way it’s easier to find on my iPad when I sit down again to paint. This saves me a lot of time. 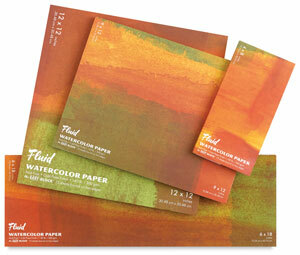 Categories: Watercolor | Tags: art supplies, artist, ideas, painting, Setup | Permalink.